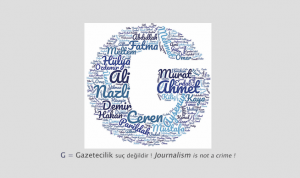 There can be no press freedom where journalists work in fear, end impunity! Impunity is when threats, attacks and crimes against journalists go unpunished. It results in a high level of fear, intimidation, censorship and self-censorship that undermines press freedom, the public right to know and leaves victims and their relatives powerless. The European Federation of Journalists (EFJ) joins the International Federation of Journalists’ (IFJ) campaign to #endimpunity, which aims at holding governments and de facto governments accountable for their impunity records and denouncing any crimes targeting journalists that remain unpunished. Murder is the highest form of these crimes but all attacks targeting journalists that remain unpunished must be denounced. 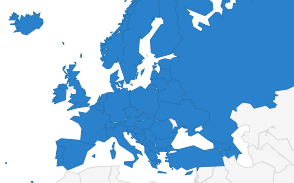 In Europe, the EFJ has registered since April 2015 the following 12 major cases of impunity on the Council of Europe platform for the protection of journalism and safety of journalists. When the authorities replies, their responses are published under the alert in the section “States replies”. 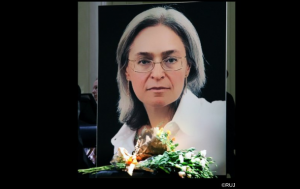 Novaya Gazeta journalist Anna Politkovskaya was found shot dead in a presumed contract killing in her apartment in Moscow. On 9 June 2014, the Moscow’s highest criminal court sentenced five men to prison for the murder of the journalist. Two organisers of the team received life sentences in prison. However, the case remains unresolved until now as the investigation has still not revealed who was the mastermind and what was the motive for the murder. On 18 May 2013, journalist Nikolai Potapov was gunned down in Selsovet. Authorities took suspects into custody shortly after the crime and said they had identified the mastermind behind the killing. However they did not release that person’s name. Independent journalist, Akhmednabi Akhmednabiyev, was shot dead in Dagestan on 9 July 2013. The investigation into the journalist’s murder was closed a year later, on 30 July 2014, without any arrests. The appeals against its closure had no effect. It was only as a result of international pressure, that the decision to close the investigation was rescinded on 16 September 2014. Investigative journalist Timur Kuashev was found dead in Russian Republic of Kabardino-Balkaria. He was missing from his home on 31 July 2014 and his body was discovered the following day in a suburb of Nalchik, the capital of the autonomous Kabardino-Balkar Republic. The cause of his death is still unclear, but there is a suspicion that he was murdered as he had reported death threats. His body was found in a wooded area but there was no sign of bruising, violence or gunshot wounds. Journalist Mikhail Beketov died of heart failure in a Moscow hospital on 8 April 2013 after choking on food. In November 2008, Beketov was the victim of a savage beating by unknown attackers who left him for dead. He lost three fingers and part of his leg and suffered long term brain damage. The journalist had a breathing tube inserted in a life-saving surgery following the assault and the operation left scars that caused food to block the airflow to his lungs, eventually leading to heart failure. To date, no one has been arrested. TV journalist Volodymyr Holovatiy and his cameraman were attacked on 10 June 2016 in Berdyansk. They were on assignment when unidentified men in military uniform attacked them. The two were admitted to the hospital for treatment, where doctors diagnosed a brain contusion in the case of Volodymyr Holovatiy. To date, the crime remains unpunished and no one has been arrested. On 24 May 2014, on the Sloviansk southern front, Italian reporter Andrea Rocchelli, accompanied by Russian journalist and human rights activist Andrei Mironov and French photographer William Roguelon, were the victims of mortar fire that killed Rocchelli and Mironov on the spot and inflicted serious leg injuries on Roguelon. An investigation launched in Ukraine concluded that no evidence exist to find those responsible for this attack. On 16 September 2000, investigative journalist Georgiy Gongadze disappeared; his beheaded body was found six weeks later. After years of investigations, four former officers of the Ukrainian Secret Service were convicted, but no one was sentenced for ordering and instigating his killing. In February 2014, journalist Viacheslav Veremii died of wounds he sustained in an attack allegedly perpetrated by the” tityshki”, a group of youths suspected of working with the security forces under the former regime in Ukraine. He was admitted to hospital on 18 February 2014 and later died. Journalist Oleksandr Kuchynsk was found murdered along with his wife on 29 November 2014 in the village of Bogorodychne near Slovyansk in war-torn Donetsk Oblast. Officials said that the couple was stabbed to death. Read more here on impunity in Ukraine. 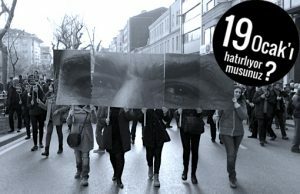 On 19 January 2007, Hrant Dink, was shot dead on the street in front of his office in Istanbul. The murderer, a 17-year-old Turkish nationalist, and some of his accomplices were apprehended and imprisoned but not all parties involved in the crime have been investigated. On 2 March 2005, journalist Elmar Huseynov was gunned down in front of his apartment in Baku following a planned attack. In April 2005, Azerbaijani investigators announced the identification of six Georgian suspects related to this murder, which was requalified from “premeditated murder” to an “act of terrorism” aiming to destabilise the country. Twelve years later, the authorities have not been able to bring anyone to justice for this case. 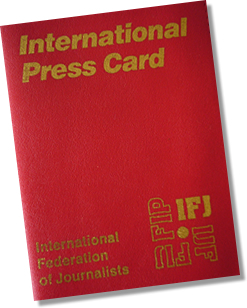 Sign up to the IFJ campaign to indicate that your union is supporting the actions. It will appear as such in the IFJ communications. Send letters to your own government or to the government of targeted countries holding them accountable for their impunity records.